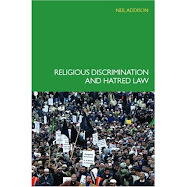 Religion Law Blog: Allah For Muslims Only ? Allah For Muslims Only ? 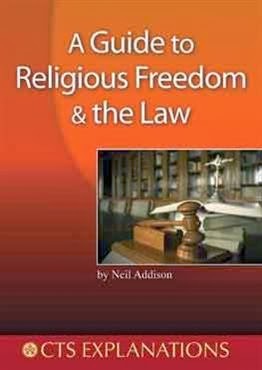 The Federal Court of Malaysia, which is the highest Court in the Country, has issued a judgment supporting a ban by the a state Government on the Catholic Herald of Malaysia preventing it from using the word "Allah" as a title for "God" and ending a years-long legal battle that has caused religious tensions in that Muslim-majority country. 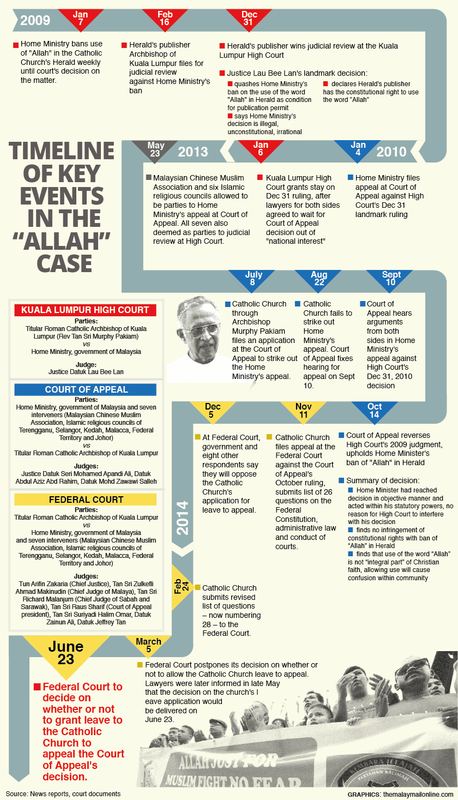 The Catholic Church had been seeking to reverse the government ban preventing it referring to God by the Arabic word “Allah” in the local Malay-language edition of the Herald newspaper but a seven-judge panel in the administrative capital Putrajaya has supported an earlier ruling in the Court of Appeal that only Muslim publications could use the word "Allah". The Court of Appeal Judgment was the case of Negeri and Ors v Roman Catholic Archbishop of Kuala Lumpur No:. W-01-1-2010 14 October 2013 also Here & Here with official Press Summary. (c) to forsake or disfavour the religion of Islam. (2) A person who commits an offence under subsection (1) shall, on conviction, be liable to imprisonment for a term not exceeding one year or to a fine not exceeding ten thousand ringgit or to both. (3) It shall not be a defence to a charge under subsection (1) that the Muslim was not affected by anything said or done by the accused to him. (d) in any speech or statement which is published or broadcast and which at the time of its making he knew or ought reasonably to have known would be published of broadcast,uses any of the words listed in Part I of the Schedule, or any of its derivatives or variations, to express or describe any fact, belief, idea, concept, act, activity, matter, or thing of or pertaining to any non-Islamic religion. One of the "words listed in Part 1 of the Schedule" is "Allah"
"the usage of the name 'Allah' is not an integral part of the faith and practice of Christianity."